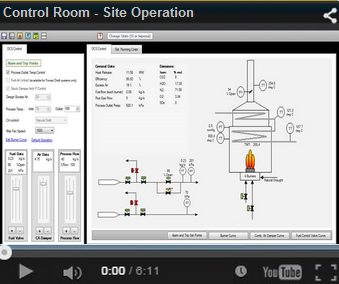 Heater560 also has a Control Room Simulation mode, which allows you to quickly examine different operation cases from a control room perspective. There are easy to use toggle bars, that allow you to easily adjust fuel flow, air flow and process flow. This feature is perfect for Operator Training, HAZOP & SIL exercises, Troubleshooting and Safety Studies. With such features, our customers are able to analyse different operational cases and solve problems more quickly and more safely than ever before.